SOLD!!! 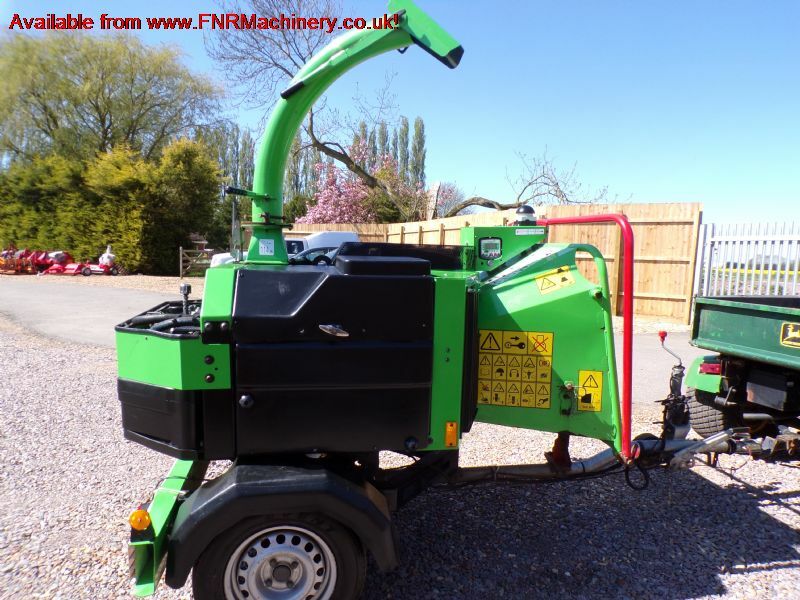 GREENMECH QUADCHIP 160 SINGLE AXLE CHIPPER SOLD! Brief Description: YEAR 2007. HOURS 362. 34HP KUBOTA TURBO DIESEL ENGINE. 160MM CHIPPING CAPACITY. FULL 360° TURNTABLE. DISC BLADE CHIPPING TECHNOLOGY. TWIN HYDRAULIC FEED ROLLERS. NO STRESS POWER CONTROL. SUB 750KG TOWING WEIGHT. 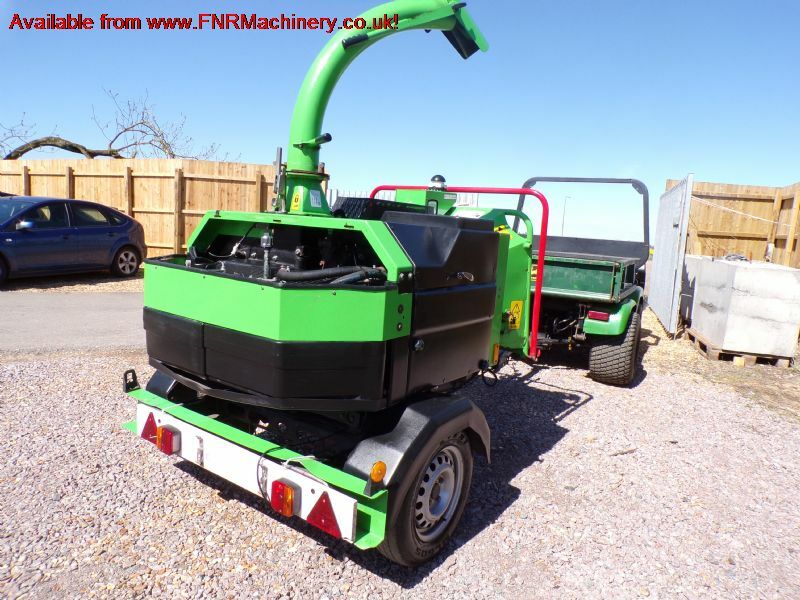 More Information: This specialist, road-tow chipper is designed specifically for roadside and highway maintenance contractors, where the entire chipper unit can swivel 360 degrees on the chassis, so that operators can position the in-feed chute away from the roadside, therefore enhancing road and operator safety. 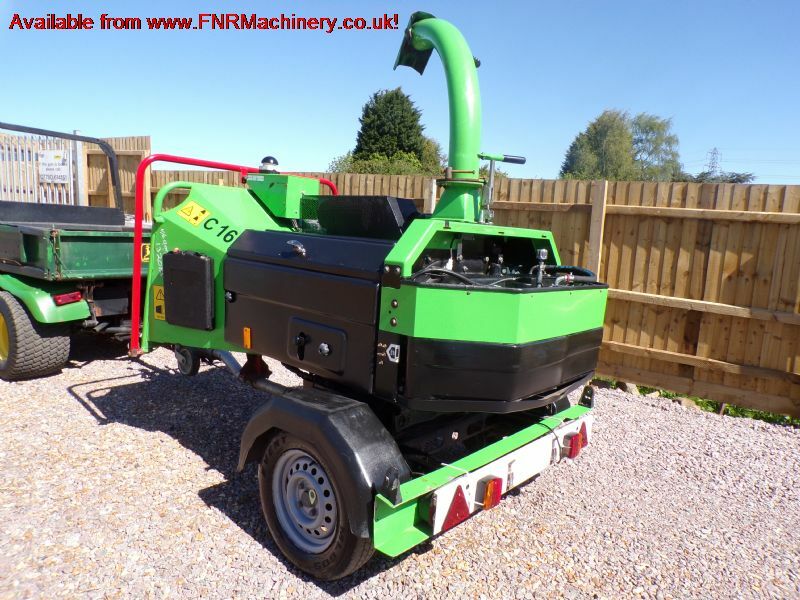 This is a hungry machine, powered by a 34hp Kubota Diesel engine and is specified as having an under-750kg towing weight. The backbone of the QuadChip 160 design is based on a deep beam, high tensile steel chassis which creates tremendous strength and ensures a robust performance. 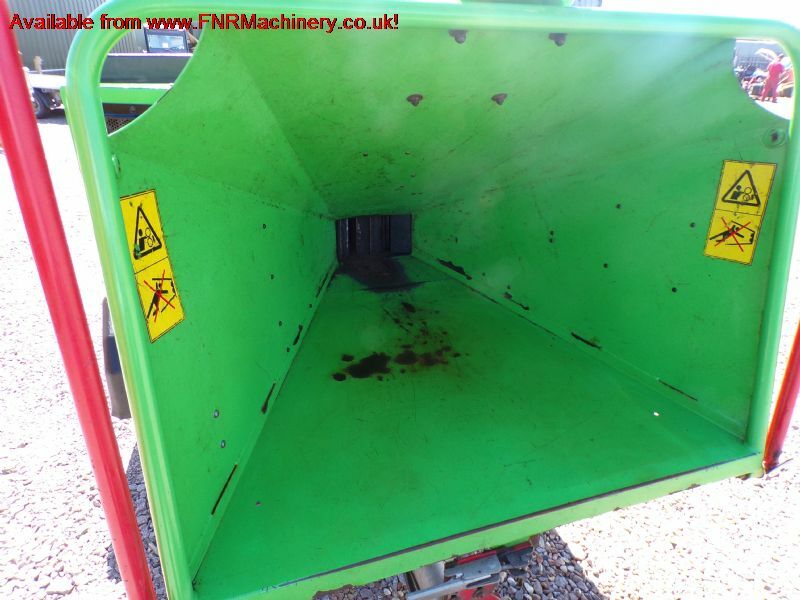 A new, generous in-feed hopper, measuring 800mm x 700mm (31inch x 27inch), means that free-flow of bulky material can be handled without having to trim to a more manageable size. 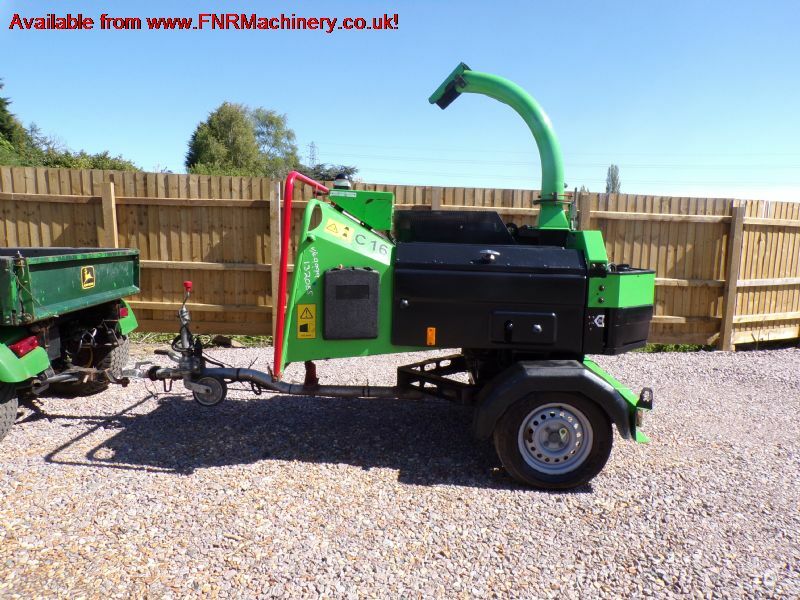 As the material passes through massive 160mm x 230mm twin, hydraulically powered feed rollers, the patented, electronically controlled ‘No-Stress� feed system varies the speed of throughput to ensure maximum chipping efficiency. The chipping system comes with the patented and renowned ‘Disc-Blade� configuration which allows rotation of the cutting edge and extends the sharpening period to only once in approximately 150 hours. This is a feature that reduces downtime, cuts maintenance, reduces labour costs and maximises working performance. Maintenance is very minimal, with a few grease points and a daily check-over. Apart from that, your chipper is ready to go! 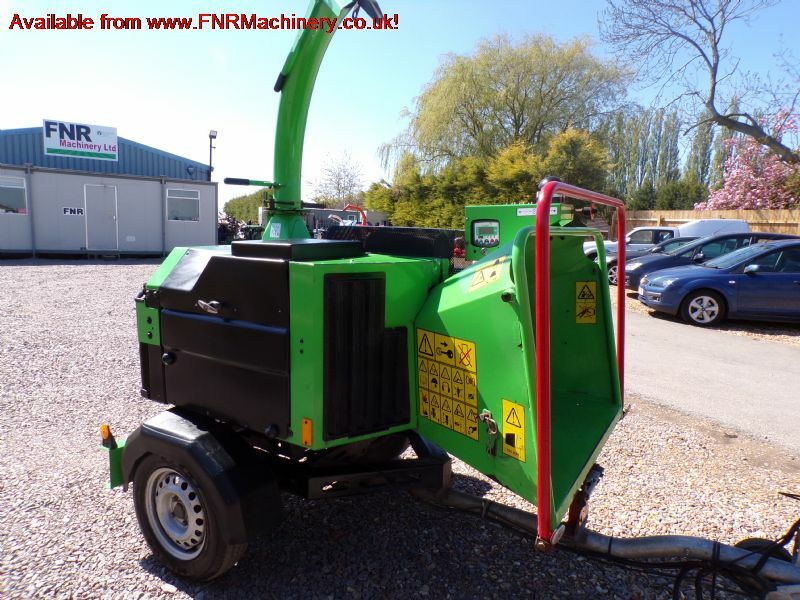 Like all GreenMech chippers and shredders, the QuadChip 160 is manufactured with a heavy-duty construction design, using high quality materials and a highly durable powder-coat finish which stands the test of time and holds a very strong residual value. Another big plus with GreenMech chippers is that they run quiet and are less likely to cause issues with noise pollution.